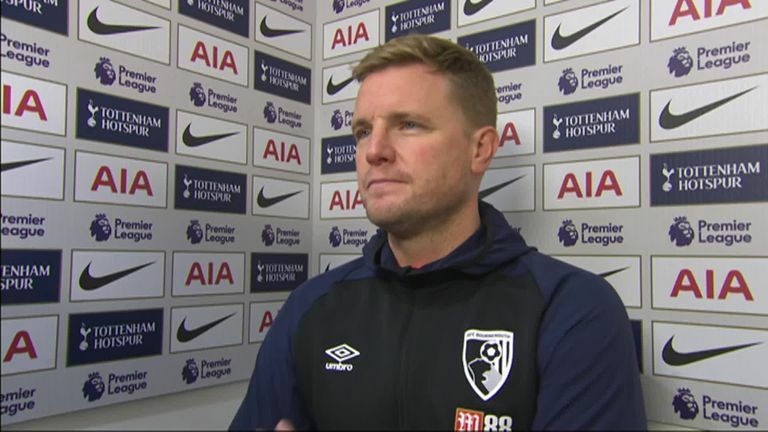 Eddie Howe thinks Tottenham are genuine title contenders after he saw them rip through his Bournemouth team at Wembley. Fresh from their 6-2 win over Everton, Spurs maintained their hot streak with goals from Christian Eriksen (16), Lucas Moura (35), Harry Kane (61) and a double from Heung-Min Son (23,70) to blow away Howe's men 5-0 on Boxing Day. 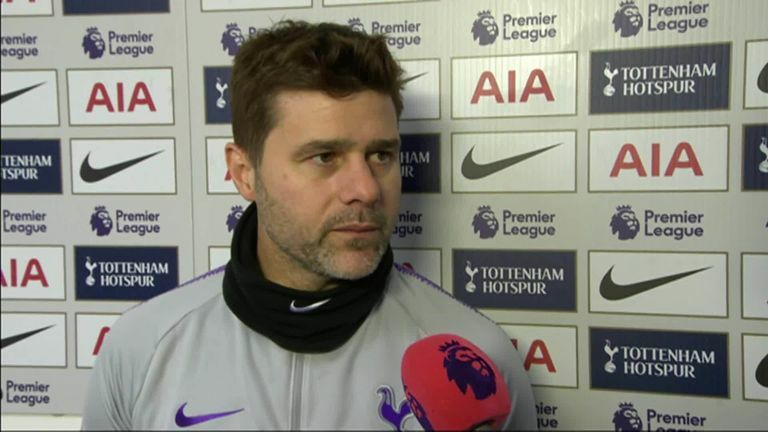 The victory moved Spurs up to second in the Premier League - above Manchester City - and to within six points of Liverpool. When asked if Tottenham are title contenders, Howe replied: "Without a doubt. "They've got the forward players and the creative players that can cause anyone problems. They are in great form and are very clinical - we had equally good chances but didn't take them." A dismal day at Wembley for the Cherries was compounded by losing their skipper Simon Francis to a knee injury just before half-time. The defender fell awkwardly near the touchline as he tried to close down Son. He was treated on the pitch for five minutes before being stretchered from the field with his head in his hands. "He's gone for a scan on his knee - it doesn't look good," Howe said. "We're concerned it's a serious injury. It's hugely disappointing for a player who has been great for this club. Our thoughts are with him and his family. Let's hope it's not as bad as it looks. "We are going to be stretched and tested in that way. It's very unusual to get so many injuries. We were already stretched before this injury, but let's get the result of the scan first."